There is a wide variety of games available for everyone. 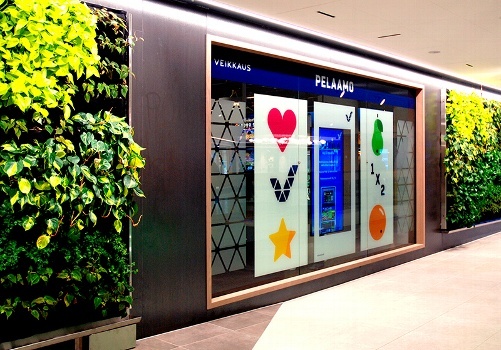 In Pelaamo you can try your luck in slot machines, including lotteries, toto games and sports betting. In Pelaamo, our friendly and professional staff will help you with all the gaming issues. You can get gaming tips, you can leave Veikkaus bets or redeem great prizes. You are always welcome at Pelaamo. Keep in mind that Pelaamo has a 18 year age limit.